As pitchers and catchers report, the Red Sox are still looking to swing some deals to tweak their personnel mix in those areas. According to Sean McAdam of the Boston Sports Journal (the subscription link), the organization is dangling its three backstops in trade talks while hoping to find rotation depth in return. 9659003] Nevertheless, this news is worth noting. For one thing, it's interesting that the Boston organization is still actively engaged even with camp opening. It could instead have decided to let the situation play out before considering options just before the start of the season. Of somewhat greater import, though, is the concept that the Red Sox are looking to boost their stockpile of starters. That's the aim of any organization, generally speaking. 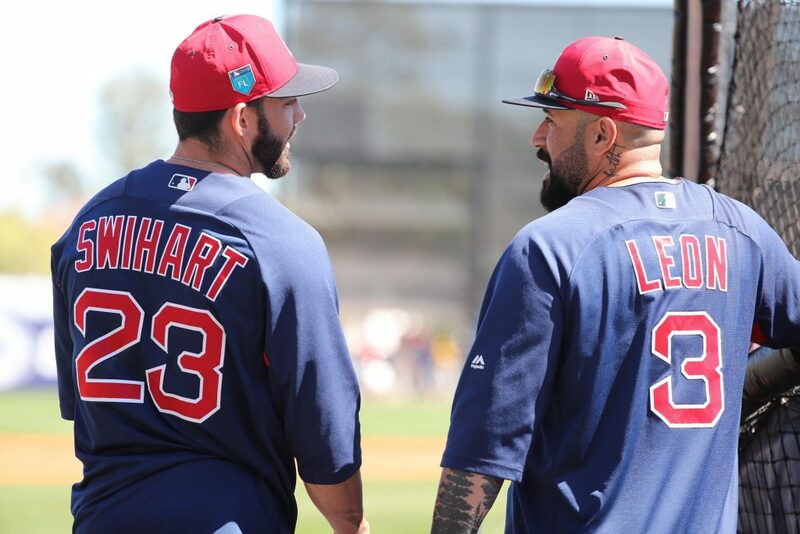 But that same fact makes it rather difficult to imagine that a rival team will be particularly inclined to move passable arms – particularly given the meager output of the Boston catching trio last year and the fact that the Red Sox have already broadcast their roster intentions. Some might argue that the club ought to focus instead on its bullpen, which seems a notably risky area of ​​an obviously talented roster. That's perhaps a bit of a red herring, though, as any rotation depth asset could also help (directly or indirectly) with the relief unit and the club surely knows it will not be able to swap any of its three catchers for anything approaching a premium reliever. It's far from clear which of those three backstops the Sox are most inclined to move. Perhaps the market will still dictate the decision to an extent, though now the club is watching the three in uniform once again and surely has its own ideas. Dombrowski said in January that Swihart would "come to camp trying to compete to be our starting catcher," while the team previously showed its belief in Vazquez by inking him to an extension. Perhaps that makes Leon the odd man out, but he would not likely draw significant interest in trade talks and he's also considered a much more reliable defender than Swihart. It'll be interesting to see how this all plays out. Perhaps it would not be entirely surprising if the Red Sox simply end up designating one of these out-of-options players for assignment when the time comes. Then again, Dombrowski said previously that the club was waiting to "mak [e] a trade we feel good about," seemingly indicating he believed there would be sufficient interest from other organizations to reap at least some kind of return.